This is most definitely a walk that should be on everyone's bucket list. The Tour of Mont Blanc or TMB as it is commonly referred to. This amazing walk takes us through three countries, starting in France, into Italy and finally by way of Switzerland. Equally amazing are the different yet slightly similar cultures found around the valleys that surround Mont Blanc. Together we will discover and explore them and perhaps share a lunch with a shepard, a glass of wine with a hut keeper or dance in a pasture with a local child. These are some of the reasons why you should come experience this walk for yourself. Our TMB starts from the top of Bellevue cable car, where the panoramic views of the Mont-Blanc massif, the Aiguilles Rouges, the Fiz and Aravis mountain ranges are simply stunning. We cross the suspended bridge over the Bionnassay torrent and leave the Chamonix valley in the direction of the Val Montjoie in order to reach our mountain hut for the night. We head off in the direction of the Col du Bonhomme where we leave Val Montjoie behind us, and head to Beaufortain and the southernmost tip of the Mont-Blanc massif. We keep on the ascent until Col des Fours, the highest elevation of the trip. Pleasant downhill amongst alpine pastures and waterfalls to Vallée des Glaciers. We finally reach the hidden mountain hut of les Mottets. We head northeast and cross the French/Italian border at Col de la Seigne. From here, one can admire the breathtaking rock faces and the ice-covered summits of the south side of the Mont-Blanc mountain range. After a pleasant hike down to Combal Lake, the trail heads up again to finally traverse above the Val Veny. Night at Maison Vieille mountain hut. Descent to the fancy Italian resort of Courmayeur. After reaching Bertone mountain hut, the Italian fairy-tale continues on a high trail facing some of the most famous peaks in the massif : la Noire de Peuterey, the Dent du Géant, les Arêtes de Rochefort and the Grandes Jorasses. 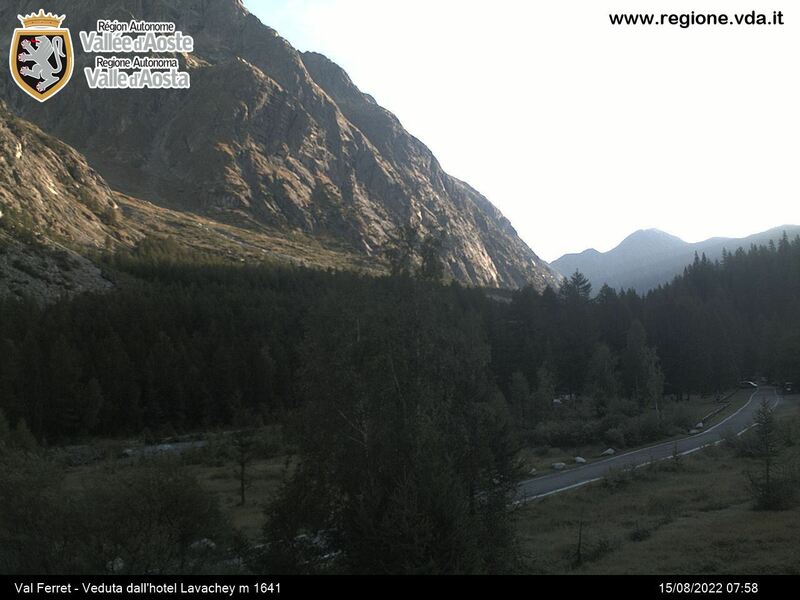 We'll enjoy this fabulous panorama until dusk from Bonatti hut. Todays hike starts with a balcony trail overlooking the Italian Val Ferret. From Arnuva, the trail gives access to the Grand Col Ferret, the border between Italy and Switzerland. Hikers can enjoy welcoming alpine meadows, and in the distance, snow-covered summits of the Dolent or l’A Neuve. Descent to the Swiss Val Ferret, and transfer to the charming village of Champex and its lake. Night at the Relais d’Arpette, a mountain chalet nested in the perched valley of Arpette. We hike from the Champex valley to the Trient valley. It will take us to the alpine pastures of Bovine. A balcony trail above the Rhone valley and its vineyards, allows us to admire the peaks of the Bernese Oberland and the steep summits of the Combin massif. After descending in the shade of the larches, We arrive at the Col de la Forclaz, a key passage between the Rhone and Trient valleys. Night in the village ofTrient. A final hike up will take us to the Swiss/French frontier. From there, one can enjoy the Mont-Blanc and its magnificent glacier covered north faces. This fantastic background escorts our afternoon hike as we make our way down to the hamlet of le Tour. End of the trek. Transfer back to Chamonix. Other locations and destinations are available - please inquire. Good base fitness – prior hill walking experience is greatly appreciated but not absolutely necessary. Tour du Mont-Blanc is a 250 km trek, on alpine meadow trails, covering a part of the French, Italian and Swiss territory. It is adapted to any well-trained hiker, used to hiking on mountain trails and familiar with carrying a backpack. This well- maintained and well-marked route, can be tricky if hiked before the end of June/ early July, when mountain passes may still be covered in snow (light crampons, trekking poles, an ice axe may come handy). This tour takes normally 8 to 10 days. On average it requires 6 hours of hiking daily. Everyone can choose his/her own pace according to physical abilities, training, weight of backpack (campers) and weather conditions. We strongly advise hikers without much trekking experience to contact an outdoor activity outfitter and use the professional services of a mountain leader. Along the tour you will find huts, mountain inns (gites) and hotels where you will be served dinner and breakfast. Dormitories are equipped with blankets; users should however bring a sleeping bag or liner. We strongly recommend you book ahead of time (in some places bookings are mandatory !) Outside summer opening periods (mid-June to mid-September), you can contact hut keepers directly. Some of the huts or mountain inns have proper campsites: please contact accommodation management for more information. • The topographic pocket map 1/50 000 called “Massif et Tour du Mont-Blanc” edited by Rando editions.